While it may be as tough as ever to earn money with music, the bright side remains that it’s become much easier to build a recording studio based mostly around your computer — without spending a fortune. With an outlay of less than $500 (not including the computer, of course), you can set yourself up with a very capable studio. What's more, if you choose wisely, you’ll get pro-level gear, not sucky compromises. You'll be able to update and add to the setup as your budget allows, but if you're itching to make music now, why wait? Here’s a suggested studio gear list we put together featuring products that offer both solid quality and low price. When putting together a budget music studio, the choice of audio interface could be the most crucial, because of the software that comes with it. Probably every interface available today comes with some kind of "light" version of DAW software, but the overall value varies significantly. 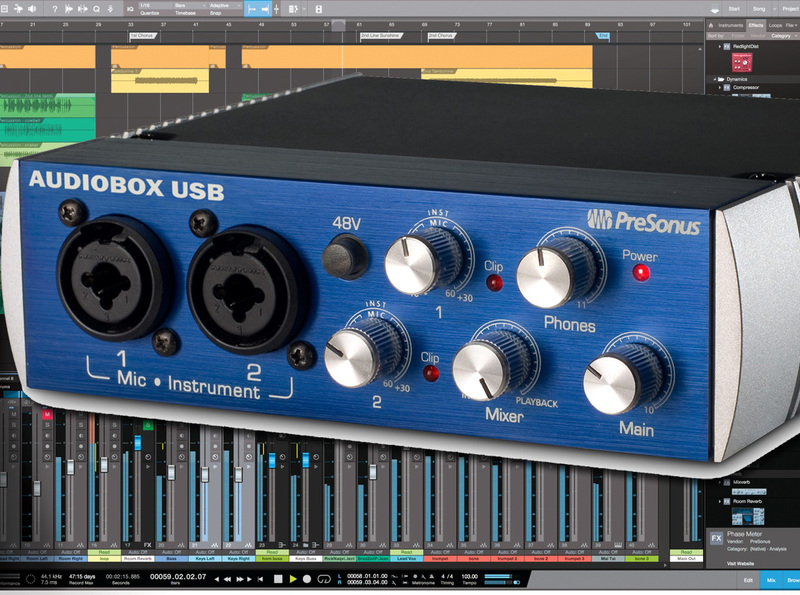 So if you're starting from scratch and don't want to pay for DAW software, you can't do much better than the PreSonus AudioBox USB ($99.95). First of all, it's high-quality hardware with two mic/instrument inputs with preamps, MIDI I/O, a solid, all-metal chassis, USB bus power and 24-bit/48kHz audio. 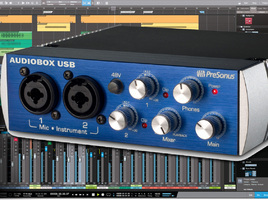 But the kicker is the inclusion of probably the best software package from an interface at this price, the recently updated PreSonus Studio One 3 Artist edition DAW. This is not the "Professional" version of the acclaimed Studio One 3 software (see our recent review of that version), but is still a powerful DAW, which actually sells individually for the same price as the AudioBox USB. It features an unlimited track count, more than 6 GB of audio loops and content, and most of the essential recording, editing and arranging features of Studio One. Notably, Studio One 3 Artist also comes with 30 effects plug-ins, including a guitar amp modeler, filters, delays, panners, reverbs, chorus, flanger, phaser and several dynamics processors, EQs and a limiter. Finally, more good news for the software deprived: Studio One 3 Artist includes five virtual instrument plug-ins: a sampler, sample player, drum sampler, the Mojito subtractive synthesizer and the Mai Tai virtual analog synth. To get a sense for the quality of the instruments included, check out this piece of music recorded using only the instruments in Studio One 3 Artist. Nektar's flagship Panorama line of MIDI controllers are known and loved for their high level of integration with popular DAW programs. With the more budget-conscious Nektar Impact line, you get the benefit of Nektar's thoughtful DAW and software integration in a more affordable package. Specifically, the Nektar Impact LX49 ($159.99) provides four octaves of semi-weighted keys, transport controls and banks of faders, buttons, knobs and drum pads with preset templates for controlling a dozen popular DAWs. That preset DAW integration works especially well with Presonus Studio One Artist. Hot keys open a mixer mode that launches the Studio One mixing console. There, the Impact's faders, buttons and rotaries control track volume, muting, soloing and panning, and arrow keys select mixer channels. You also have transport controls for recording, and modes for focusing the keyboard's controls on virtual instruments and effects plug-in parameters. 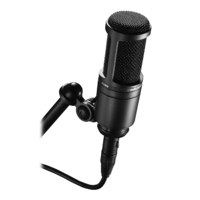 Can you get a decent mic for $99? How about one of the most popular cardioid condenser microphones in the world? And it's not just popular among penny pinchers because of its price—the Audio-Technica AT2020 ($99) captures a classic sound quality that comes from many years of recording expertise. The AT2020 has a wide dynamic range and has gained much of its popularity and respect for the way it handles the fine sonic details within vocal and acoustic instrument recordings. However, it also has a high SPL rating of 144 dB, so it can make a suitable workhorse for recording high-volume drums, amped guitars and basses, etc. If you need your mic to also work for live performances where you won't have access to phantom power, you may want to opt for the Shure SM58 for the same price. It's an industry standard, all-purpose dynamic mic and also the most commonly used live vocal mic. Our budget concerns are leading us to pass on studio monitors for now and go directly to an affordable pair of professional headphones for monitoring your music. 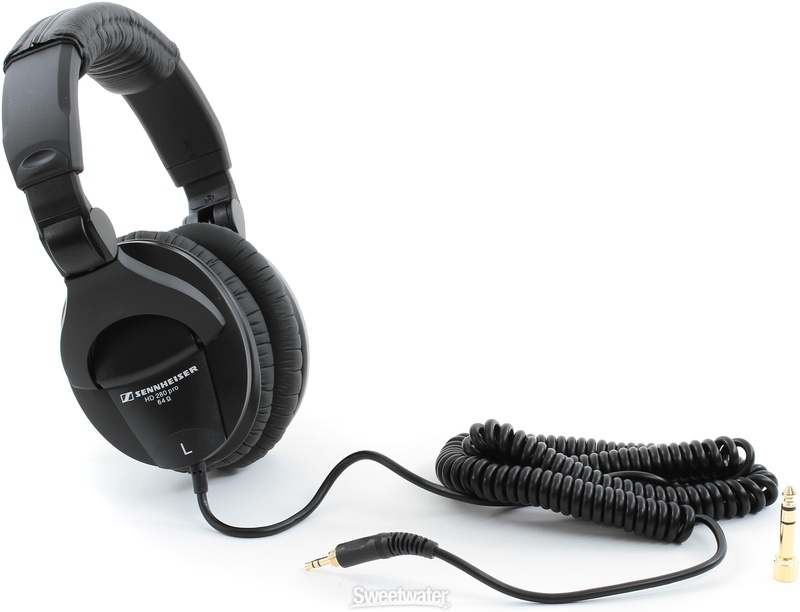 Sure, you could get some cheap cans or ear buds for ten bucks, but they won't be a tenth as good as the Sennheiser HD 280 Pro ($99.95) headphones. This pair garners high praise from many thousands of users for its accurate sound, wide frequency response, comfort for long periods of wear and the closed-back cup design that provides up to 32dB of acoustic isolation, so you can block out a lot of outside noise from your non-soundproofed room. These phones also have replaceable parts and a flexible, foldable design. You're going to need a mic cable to connect your mic to your audio interface, so we recommend the 20' Pro Co EXM-20 Excellines ($24.99). It offers solid sound and build quality for a mid-level price. If you add it all up, this studio comes out to $483.88 based on street prices. 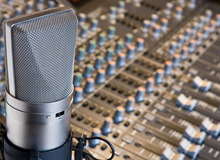 In tandem with your computer, you can have a set of hardware and software tools that will help you record your debut album almost as fast as you can write it. Of course, your studio is a lifetime work in progress. Continually modifying it is part of the fun. What is a Home Studio?